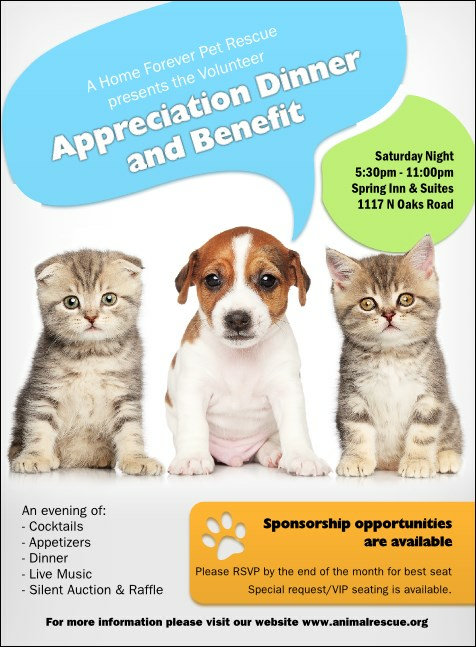 Leave your promotional paw print in the minds of everyone on your guest list when you send out Animal Rescue Invitations for your benefit event. Every Invitation features two adorable kittens along with a very cute puppy on a white background accented with light colors. Add up to nineteen lines of text for all your event details. TicketPrinting.com helps you rescue your ticket sales!